Are you a SEMA first-timer looking to outfit a new shop? A veteran attendee looking to upgrade a major piece of equipment? Make sure you know how to make the show a buyer’s market. 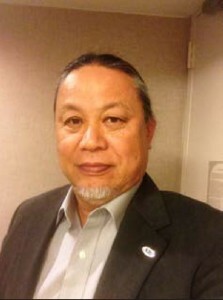 Kye Yeung, who scouts SEMA equipment as the longtime owner of Orange County, Calif-based European Motor Car Works (and as the co-presenter of the annual SCRS “Kool Tools” list), shared some of his own trade show shopping tips Wednesday. The tactics are mostly common sense — Yeung joked that it was just like being “smart shoppers” at a store like Kmart — and as such fairly accessible to the entire industry he represents as SCRS chairman. You shouldn’t need to own a luxury repair facility like Yeung or have the clout of a MSO purchasing manager to pull these off (though it can’t hurt). One important step: Check on your liquidity. “Obviously, a lot of times before I go, if I’m looking for big equipment, I will source out my financing before I go,” Yeung said. He gave the hypothetical example of calling one’s bank and ascertaining that a $100,000 line of credit still had $40,000 left. He also suggested having a wish list and prioritizing it prior to the show to match that budget. Many vendors have no problem putting a “sold” sticker on a piece of equipment present in the booth, continuing to demo it all week, and then handing it over to the cash-on-the-barrelhead buyer at the end of the show, according to Yeung. He said that despite the week of handling at SEMA, he’s confident mechanical devices used as floor models will still perform as intended at his shop. But he said he wouldn’t use an electronic device which had been opened and manipulated, as it might need recalibration. Bigger-ticket equipment vendors do offer financing, and some finance companies are present as vendors and are willing to extend you credit at the show, according to Yeung. But if you haven’t checked your credit, you could be out of luck, he said. “You gotta play everybody,” Yeung said. Researching a product and a competitor can also help an owner haggle one of the two rival companies down at the show, Yeung said. While equipment required for an OEM certification often has no “budge room” — if only one rivet gun in the world is approved by an OEM, for example, that’s the one you have to buy — more general shop equipment like an air compressor might present more opportunity to seek deals between rival exhibitors, according to Yeung. There are a couple of key times to consider when doing your shopping. “You’ll get more attention being the first there,” Yeung said. Many attendees don’t make it down to the show until midday, Yeung said. (We’d wager the Las Vegas locale has something to do with that.). By that point, “the aisles are packed sometimes,” and you might end up forgoing checking out a desirable vendor, Yeung said. It seems likely that even if you do visit the booth, a packed house could curtail one’s demo time or ability to ask questions of or haggle with a vendor. Yeung also suggested a shop contact a vendor ahead of time; often, exhibitors will have ads in trade magazines promoting a product in conjunction with the show, he said. 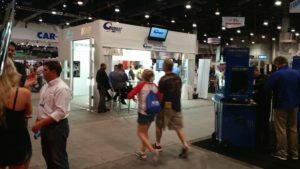 By expressing your interest, it shows you’re a “serious buyer” — not just a random show browser — and the vendor might send a special invitation like a SEMA entry or set up an appointment during the show. “I’ve done that many times,” Yeung said, noting that he’ll “purposefully wait” until the show to make buys. Yeung says he’ll even bring a truck to the show to capitalize on this fact, offering to buy a portable piece of equipment being exhibited in the booth and drive it back himself. Even if the vendor breaks even on the sale of the equipment, it’s still ahead the cost of shipping. “The best time is at the end of the show,” he said. SEMA show pricing deals often continue even after the show ends, which presents a further opportunity for a shop owner, Yeung said. Obtain a sample of the product at SEMA and try it out in the shop upon your return. If you like it and move fast enough, you ought to be able to order a full supply at show pricing for a couple of months after the show, according to Yeung. 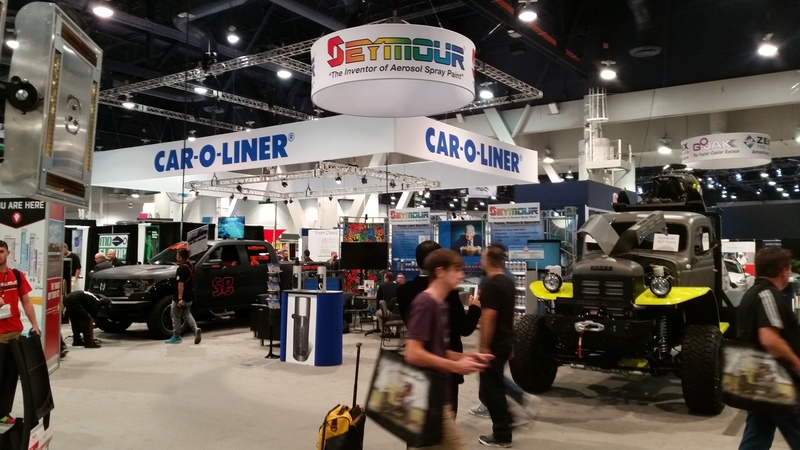 A business relationship developed at SEMA can also continue after the show ends Nov. 3, according to Yeung. If “you’re not happy with your local rep” for Manufacturer X, contact the Manufacturer X representative you met at SEMA, reintroduce yourself, and get the support you need that way, Yeung said. “That kind of stuff pays dividends,” he said. SEMA has published a couple of buyer guides as well; see them here and here.